Made from 100% Chardonnay, this style of wine tends to be more steely and austere than most other Chards, and that’s fine with me, because I think that many winemakers manipulate that grape way too much. There are four classified Chablis wines that come from this small area in Northern Burgundy – Grand Cru, Premier Cru, Chablis AOC, and Petit Chablis, going from most to least prestigious. Petit Chablis often gets a bad name as being watery and uninspired, but I’ve found some very good “ordinary” Chablis AOC wines. Now, Chablis is pretty far north for grapegrowing, and the grapes never fully ripen on many vineyards, including Grand Crus vineyards, before they’re picked. As a result, the quality is spotty and you’ve got to do some research. Talk to your retailer, too. Chablis gives you more green (“grassy”) aromas and flavors than White Burgundies, and are much less oaky than almost all American or Australian Chardonnays. Great with fresh seafood in my view, especially raw oysters, clams and mussels. Some say that Chablis ages quite nicely, and others, pointing out that they rarely see oak, call for quaffing within two years of the vintage. I say try them both ways and see what you think. Don’t confuse real Chablis with inexpensive California jug and carafe wines sometimes labeled “Chablis,” because they’re a fraud – a mix of several white bulk wines that weren’t good enough to go into their producers’ first labels. Or who knows what else! You don’t find this often in American wine stores but do yourself a favor and try it as a break from Chardonnay or the white you drink most often. In France, the grape is sometimes called Pineau de la Loire, and in South Africa the grape is called Steen. Many French Chenin Blancs are labeled “Vouvray,” the region from where they come, and can range from “sec” (dry) to “demi-sec”, (semi-sweet), “moelleux” (sweet) and finally “liquoreux” (very sweet). Coteaux de Layon and Coteaux du Layon-Villages in the Loire produce sweet Chenin wines only. I served a bottle of the off-dry Vouvray with Turkey at Thanksgiving and it was a hit, and I recommend the dry variety for shellfish. Fun fact: Most wine enthusiasts believe that no other grape imitates the flavors of a Chenin Blanc. 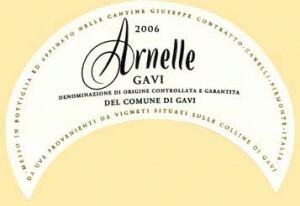 Italian stallion, the Cortese grape is grown in the Piedmont in northwest Italy and produces two whites – Gavi de Gavi and Cortese de Gavi. Fun fact: Piedmont (“foothill”) is the region of Italy closest to France, so the food there is much more French – butter and cream sauces, and even white truffles. This wine really works well with that style of food. 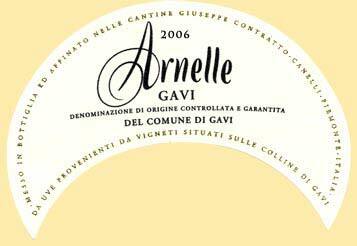 “Gavis” are pale straw in color, offer up very faint – sometimes almost imperceptible – aromas of pear, citrus, and some say almond, and are steely and dry on the palate with a lip-smacking acidity. They keep well and age with a nice richness, several years after the vintage, and go great with white fishes and roasted chicken. I’m including Muscadet, made from Melon-de-Bourgogne grapes, because it’s almost unknown and that’s a shame. Muscadet delivers up scented green apples, lime, and pear with wonderful acidity. It’s typically fermented to be a little fizzy (“Petillant” in French) which just adds to its charm. Not easy to find, perhaps, but worth the effort. This is the wine to have with oysters by all accounts, and I like it with sardines in mustard sauce. Serve well chilled. Fun facts: “Muscadet” is the name of a wine, not the place name where the grapes are grown, as in the case with most French wines. “Muscadet Sevre et Maine” gets its name from the two rivers that cross the vineyards in Nantes. And the grape itself, sometimes referred to as “Melon de Bourgogne” is the only grape that can go into a Muscadet. I doubt you’ll find this in many wine shops outside New York, Chicago and San Francisco, but if you do, try a bottle. I’m including it here because, well, it’s so rare you won’t hear much about it anywhere else, and how fun would that be? This grape is also known as a wine, Picpoul de Pinet, from, naturally, the Pinet Region in the Coteaux de Languedoc. 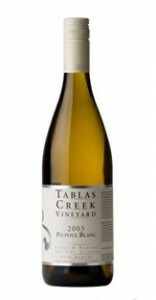 It delivers a lot of grapefruit, pear and spice flavors, and is one of the most crisp and fresh wines I’ve ever tasted. But most of the time, this grape is just one in a blend, such as the wonderful white Chateauneuf-du-Pape from France’s Rhone region. If I’m not mistaken, in Italy it’s used to make Vermouth. Fun fact: The original name, Piquepoul de Pinet, means “lip stinger” and refers to the biting acidity of this wine. This stuff seems to have taken the place of Chardonnay on American palates and in wine stores – it’s everywhere, easy to order, and I’ve never seen a restaurant with a liquor license that doesn’t have at least one on the list. But a lot of it isn’t very good — Santa Margherita, for example, has almost become synonymous with Pinot Grigio but in my view it’s thin, watery and far too tart without any balancing qualities. Anyway, Pinto Grigio is really just the Italian name for the more prosaic French name of Pinot Gris. Pinot Grigio tends to deliver a zesty, lemony taste, although the French version usually is more full-bodied and luscious, with much more aroma. Dry, fruity Alsatian Pinot Gris in particular is really coming into its own, but to make sure you’re not getting a sweet version, avoid “Vendange Tardive” (late harvest) on the label. Fun fact: Although it’s typically a white wine, the grapes at maturity have dark pink skins (see at left), and the Italians make a wonderful rose wine, Pinot Grigio Ramato, from them. The best of this varietal come from the Alsace region of France, and are lively, smoky, full-bodied with very little nose. Often described as “Chardonnay-like”, these grapes grew on the North Fork of Long Island and were thought to be Chard until someone did a genetic test. Blancs from Oregon, too; from Italy where they’re known as Pino Bianco. What a great grape! You can get Sauvignon Blanc in a wide variety of styles, ranging from sharp, intense grapefruit-y New Zealand, to middle-of-the road Napa, to soft, round and elegant Sancerre. No matter which, this is always a distinctive, refreshing wine that often evokes freshly-cut green peppers, and while it quenches your thirst, can actually leave your mouth watering. In France this wine is labeled Sancerre, Pouilly Fume, or Bordeaux Blanc (often mixed with a bit of Semillon). It has become a huge industry by itself in New Zealand starting in the mid 1980s, and in many wine stores, NZ Sauvignon Blancs often dominate the shelves. Fun fact: SB was found only in 1997 to be a mutation of Cab Franc and Cabernet Sauvignon. Lots of producers are listed below, covering the wide range of styles I talked about. Try one from each region! This isn’t the noblest of grapes, mind you, and you’ve probably never heard of this wine – Lugana – or the grape. It comes from an amazingly beautiful place in Italy (which is saying something, indeed), Lugana, between Lombardy and the Veneto on the southern side of Lake Garda. Yet in France, where the grape is called Ugni Blanc, it’s used primarily to make Cognac and is otherwise undistinguished as a table wine grape. In Italy, though, they turn Trebbiano into a wonderful still white wine – full bodied, rich and complex. It’s great with poultry, pasta with white and cream-based sauces, and seafood. 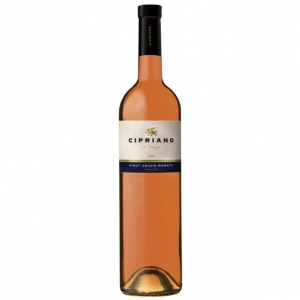 This really is an elegant, refined wine that delivers soft peach flavors and a crisp finish. Seek it out from your retailer as it’s pretty hard to find. Italy: Zenato Lugana, Lugana Tenuta Roveglia, Lugana Doc Superiore. From the land of dark, intense Port comes this cheap, unassuming white, a product of the Alvarinho grape, the Trajadura or a mixture of both. Produces an incredibly light, delicate wine with slight fizziness and low alcohol. I use Vinho Verde (literally, “green wine”) as the base for my White Sangria. You can get it for as little as $4 for a 750ml bottle, and on a hot summer day, it’s worth its weight in, well, Chardonnay. The 500-pound gorilla of white grapes, Chardonnay is the world’s most versatile grape and produces an almost infinite range of styles. From the steely and fresh Chablis, to the soft, elegant and perfectly balanced Puligny-Montrachet, and finally to oaky and smoky California and Australian styles that ooze with butter and lemon, almost everyone finds something they like. Chardonnay’s versatility shows, too, as the base wine for some of the world’s greatest Champagnes and sparkling wines. It’s perfect for them because of its neutrality and freshness, and it can take on a toasty flavor from long periods of secondary fermation on the lees. Even beyond that, many of these wines don’t undergo any malolactic fermentation (MLF), the process that turns crisp, apple-y malic acid into softer, milky lactic acid. For example, I list here ZD Chardonnay, from Napa’s Silverado Trail, because while it’s aged and fermented in “neutral” American oak (older barrels that don’t impart much oak flavor) it’s not MLF’d, so it’s quite bright and fresh. I don’t know if the Pope drinks Chateauneuf du Pape, but I sure do. Usually it’s built on a base of White Grenache, also known as Garnacha, and typically includes several other white grapes, among them Muscat, Clairette, Bourboulenc, and Roussane. 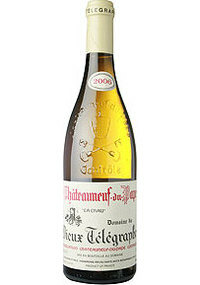 Taking no back seat in my view to its better-known red brother, White Chateauneuf delivers aromas of grass, flavors of honey and pear, and the perception of minerals. The White Grenache often adds nutty flavors. This is a round and slightly “fleshy” wine, with relatively low acid, lots of body and a long finish; drink young. A few years ago, Muscat de Beaumes-de Venise was the “it” dessert wine, but no longer. Still, it’s a nice change from Port and you can often find it even at mediocre restaurants that haven’t put a lot of thought in their wine lists. And while most Americans can’t distinguish a Muscat from a musket, it’s a popular table grape. Fun fact: “Musca” is Latin for the word “flies” and it might be that this grape was known for attracting insects and other varmints from its perfumed sweetness. Muscat also makes some lesser-known dry wines, and their claim to fame is (I am told), they’re the only wine that goes with asparagus! You decide. This delicious, highly aromatic wine is really under-appreciated in my view, probably because the German wine labeling is confusing and makes no sense, even to Germans. Even more, perhaps, most people think it comes only in sweet, sweeter and cotton-candy styles. Yet the Alsace region of France produces bone-dry Rieslings as do Napa, Australia and several other wine regions. And even some of the sweeter German versions may not taste as sweet as you’d expect because the sugar is matched by a high level of acid. Happily, Riesling has made a comeback in America: my favorite dry Riesling is from Trefethen in Napa’s Oak Knoll district, while Chateau St. Michelle in Washington State makes dry as well as off-dry (semi-sweet) versions. Fun facts: Riesling is known for delivering an initial aroma of “petrol,” and that can help you begin to recognize the varietal with one or two sniffs. Don’t dwell on that, though, and don’t let it put you off this fabulous wine. Also – German Rieslings made from grapes that are picked at the highest levels of sugar (“beerenauslese” and “trockenbeerenauslese”) are difficult to ferment, and as a result they often have remarkably low levels of alcohol, especially compared to most American wines. This “oily” grape mixes with Sauvignon Blanc, four parts to one, to create what is perhaps the world’s most prized dessert wine, Sauternes (Chateau D’Yquem) and almost as famous and prized in Barzac. 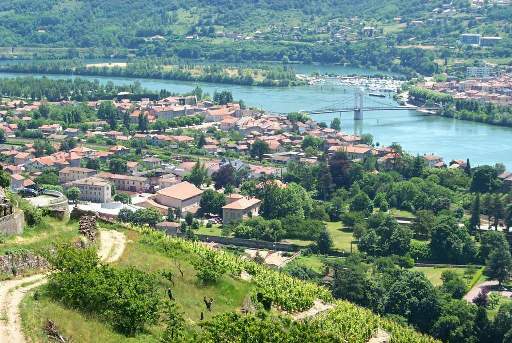 Both villages are in the Aquitaine region of France, just below the large area of Bordeaux that’s home to the world’s most famous reds. 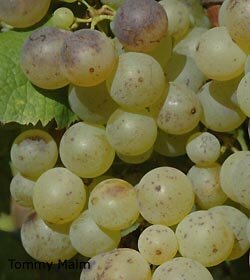 The Semillon grape’s thin skins make it susceptible to Botrytis Cinerea or “noble rot”, reducing the water content of the berry and marvelously concentrating its sugars and flavors before harvest. You’ll also find Semillon in Australia, South Africa and even in Washington State in the US. I’ve never seen it as a varietal but I’m sure somebody produces it. Aside from dessert wine, Semillon does yeoman’s duty as a blending grape for the dry versions of Sauvigon Blanc, too. After White Burgundy, this is my all-time favorite dry white wine. 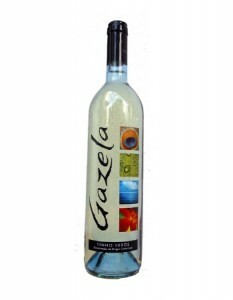 It is among the world’s most aromatic whites, with a rich, viscous fullness and often, high alcohol content. As such, it’s an acquired taste and often overpowering to those who’d more readily drink, say, a Pinot Grigio. I find the California versions enjoyable and fresh but many are a bit too “enthusiastic” and overpowering for my taste, while the best Viogniers from France’s Condrieu region (above) can be rather expensive, $100/bottle or more in a retail shop. This wine is so rich, you may perceive some residual sugar even when there isn’t much, or when there’s not enough acid for balance. Like overoaked Chardonnays. I’d say drink within 3-4 years of the vintage. 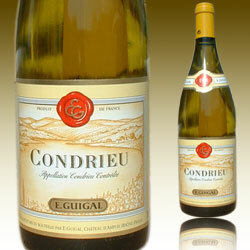 France (Condrieu): Domaine Georges Vernay Condrieu, Chateau Grillet, Saint Cosme, E. Guigal. These range from about $45 to $90 the bottle. 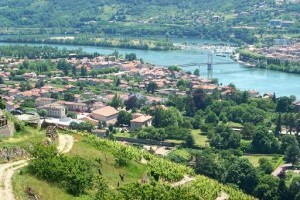 France (Viognier as a Varietal): Les Canteruls Viognier Vin de Pays d’Oc (inexpensive).